To apply in 2019 for a program commencing in 2019 ONLY the following GAMSAT results can be used: September 2017, March 2018, September 2018, March 2019. The University of Limerick processes applications for the Master of Science in Physiotherapy (Professional Qualification) at the University of Limerick. GAMSAT candidates are responsible for determining their eligibility to apply for admission to the graduate-entry programs. Applicants should consult the CAO website and/or the institution websites for the relevant eligibility criteria for admissions. For any questions in regard to your eligibility, please contact the Admissions Office of one of the institutions well in advance of the application closing date. Please note: In order for your results to be forwarded to the CAO, you must indicate on any of your current registrations (September 2017, March 2018, September 2018 and March 2019) that you are an applicant to an Irish program. You must complete this step by late April 2019 (exact date to be confirmed) by logging into your account and ensuring that "Ireland" has been ticked in the course application section. Your results with your best Overall Score will then be forwarded to the CAO for inclusion in your application. The CAO may still ask candidates to provide a photocopy of their GAMSAT Statement of Results for sittings other than March 2019. You must also provide your CAO application number to the GAMSAT Office when you register for the test. 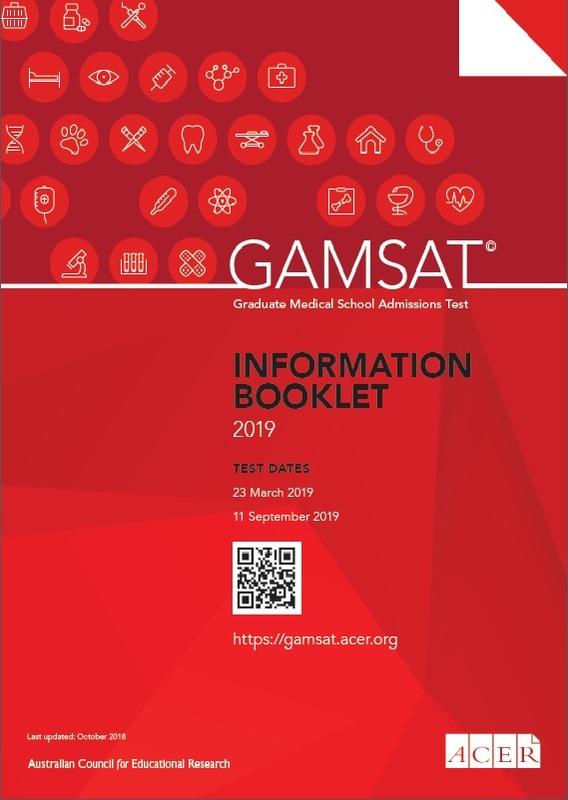 If you do not have a CAO application number at the time of registering for GAMSAT, you should add it to your GAMSAT online account by late April 2019 (exact date to be confirmed). If you do not provide your CAO application number, or if you give an incorrect number, this may affect the delivery of your GAMSAT results to the CAO and the institutions.